Several prominent U.S. lawyers, including First Amendment scholar Martin Garbus and Harvard Law Professor Charles Nesson, are supporting human rights attorney Steven Donziger in his demand to present evidence that Chevron used fraud to try to strip him of his law license. Chevron used witness bribery and other false evidence to lobby for Donziger to be suspended on an interim basis without a hearing after he led Indigenous groups in Ecuador to a landmark court victory over the company. (For background, see this criminal referral letter of Chevron and its attorneys to the U.S. Department of Justice.) Four layers of courts in Ecuador, and 16 appellate judges total, have affirmed the findings against Chevron and rejected the company's fake "fraud" narrative targeting Donziger. Donziger is contesting his suspension, but staff attorneys at the New York bar grievance committee -- who have been pressured by company lawyers -- are trying to deny him a hearing where he can present evidence. New York – Three prominent lawyers have rallied behind the demand of human rights attorney Steven Donziger that he be allowed to present compelling new evidence that Chevron committed fraud to try to strip him of his law license as retaliation for helping his Indigenous clients win a landmark $12 billion pollution judgment in Ecuador. 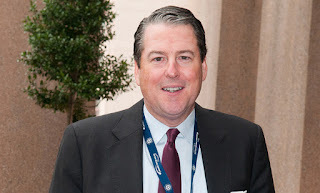 Under pressure from Chevron and a U.S. judge who has tried to attack the Ecuador judgment, staff attorneys at the New York bar grievance office in 2018 designated Donziger “an immediate threat to the public order” and temporarily suspended his law license despite the fact 16 appellate judges in Ecuador have affirmed the pollution findings against Chevron. Donziger had a disciplinary hearing scheduled for December to challenge that designation, but the bar staff lawyers blocked it – an act that Donziger and his supporters say violates the Constitution. In a legal motion filed this week before a New York state appellate court, Donziger is demanding he be able to challenge findings of Judge Lewis A. Kaplan that formed the basis of his temporary suspension. Kaplan’s finding that the Ecuadorian judge was promised a payment was based entirely on the testimony of an admittedly corrupt Chevron witness, Alberto Guerra, after he was paid $2 million by Chevron and coached by its lawyers for a staggering 53 days prior to taking the stand. Guerra later admitted he had perjured himself under oath while a forensic analysis proved he lied about a critical issue on which Kaplan based most of his decision. Yet Donziger was still suspended based on Guerra’s testimony, which has been rejected by four layers of courts in Ecuador. The Kaplan findings also have been ignored by Canada’s Supreme Court, which unanimously endorsed an enforcement action filed by the Ecuadorians targeting the company’s assets in that country. Donziger has not had even one client complaint in 25 years of law practice. New York grievance committee staff attorneys Naomi Goldstein and Jorge Dopico (who oversee attorney licensing in New York) refused even to interview Donziger after he sent them a detailed letter explaining why he believed there was no valid basis to proceed against him. Donziger and the case against Chevron have the backing of several major environmental groups (here), indigenous leaders (here), and a coalition of civil rights groups (here) who are trying to stop a proliferation of corporate-funded harassment lawsuits. First Amendment litigator and scholar Martin Garbus, who represents Donziger in the bar proceeding, criticized the attorney grievance office that oversees attorney licensing in New York. Donziger is also represented by Harvard Law Professor Charles Nesson and Kathleen Mahoney, who teaches at the University of Calgary Law School and is a prominent human rights advocate in Canada who played a leading role in helping to settle the landmark residential schools case in that country. Mahoney has visited Ecuador and met with Chevron’s victims. Donziger also has won the support of the London-based human rights group Global Witness. Last year, Global Witness released a statement criticizing the New York bar grievance staff lawyers for violating Donziger’s due process rights. A separate letter the group sent to the grievance office seeking an explanation was ignored. “It is shocking to note the similarities between this case, and cases we have observed in a myriad of Banana Republics around the world, where official harassment of anyone who threatens the powerful is the norm,” the group wrote. 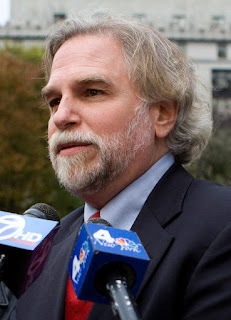 The Horan ruling prompted Goldstein and Dopico to rush back to a New York state appellate court to overturn his decision, essentially shutting down Donziger’s ability to present evidence challenging the Kaplan findings that were used as the basis for his temporary suspension four years after they issued. Chevron has a long history of trying to bully and silence its adversaries in the case. Two weeks ago, more than 20 civil rights groups gave Chevron the “Corporate Bully of the Year” award for its SLAPP-style harassment attacks on Donziger and his Ecuadorian clients. (See here.) In 2015, Chevron won the lifetime Public Eye Award in Davos for being the worst corporation for its refusal to clean up the billions of gallons of toxic waste it dumped in Ecuador, decimating Indigenous groups and causing an outbreak of cancer that puts thousands of people at risk. After the Ecuador judgment against Chevron issued in 2011, a Chevron official threatened the Ecuadorian villagers with a “lifetime of litigation” if they persisted. Another official admitted that the company’s defense strategy was to “demonize” Donziger. Chevron lawyers – including Andrea Neuman of the Gibson Dunn firm -- have openly lobbied for Donziger’s disbarment. Donziger has written a criminal referral letter to the U.S. Department of Justice outlining fraud and misconduct committed by the company and its lawyers. For more details of the New York bar grievance committee’s handling of the Donziger case, see here. For background on Chevron’s and Judge Kaplan’s attacks on Donziger and his Ecuadorian clients, see this article by Greenpeace co-founder Rex Weyler. 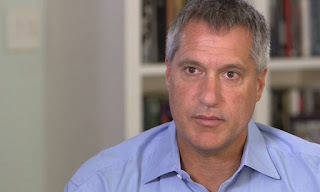 New York human rights attorney Steven Donziger has long warned that Chevron would engage in a politically-motivated attempt to try to strip him of his law license after it lost the landmark $12 billion Ecuador pollution case. Sadly that prediction may come true given efforts by the oil giant and U.S. judge Lewis A. Kaplan to block the decision of a neutral bar referee who ruled Donziger could present evidence challenging Chevron's fake "fraud" narrative. London-based Global Witness, a prominent human rights group, has issued a statement expressing concern about the deplorable treatment of Donziger by Chevron, Kaplan, and the bar authorities. Recently, a coalition of 20 prominent civil rights groups -- including the ACLU, Electronic Frontier Foundation, and Greenpeace -- named Chevron "Corporate Bully of the Year" for its vicious SLAPP-style litigation attacks targeting Donziger and his Ecuadorian clients. As background, Donziger (bio and website) is a Harvard Law graduate and classmate of President Obama with not a single client complaint in twenty-five years of law practice. His apparent "mistake" in Chevron's eyes is that for two decades he has been a driving force behind one of the most successful corporate accountability cases ever. The size of the judgment and the financing paradigm of "private capital in service of human rights" represents a major threat to Chevron and a fossil fuel industry which faces trillions of dollars in legacy pollution liabilities around the globe. That's why Chevron has used 60 law firms and 2,000 lawyers to deploy maximum overkill to fight Donziger and his clients; the company literally wants to kill off the very idea of the case. Four layers of courts in Ecuador -- including the country's Constitutional Court in a unanimous decision last July -- have affirmed the judgment against Chevron based on 105 technical evidentiary reports and 64,000 chemical sampling results in addition to scores of witness testimony. Not even Chevron denies it caused massive, obscene and carcinogenic pollution as a cost-saving measure. The company does not deny that an explosion in cancer rates has taken place in areas where it operated hundreds of well sites from 1964 to 1992. Unable to defend on the evidence, Chevron made up its own facts and laundered them through Kaplan's court. Chevron lawyers at the Gibson Dunn firm in New York -- led by Randy Mastro and Andrea Neuman -- orchestrated the highly suspect ruling by U.S. judge Kaplan in a civil "racketeering" trial that ended in 2014. Many critics, including prominent appellate lawyer Deepak Gupta, consider this ruling legally flawed and ethically compromised. After denying Donziger a jury and then exhibiting a pronounced pro-Chevron bias throughout the trial, Kaplan found Donziger committed "fraud" based almost entirely on testimony from an admittedly corrupt Ecuadorian witness paid two million dollars by Chevron in violation of federal law. The witness, Alberto Guerra, was coached a staggering 53 days by Chevron lawyers before testifying that Donziger approved a bribe of the trial judge. Guerra later admitted under oath that he repeatedly lied in Kaplan's court. In February 2017, Donziger responded to his referral with a detailed letter in which he explained the absolute lack of basis to move against him. He offered to sit for an interview and otherwise fully cooperate. Goldstein and Dopico ignored the letter. Several months later, Goldstein and Dopico went to court to petition for Donziger's designation as "an immediate threat to the public order" based on the disputed Kaplan findings that had issued four years earlier. Donziger was provided no prior notice. Goldstein and Dopico targeted Donziger after he publicly challenged the evidence underlying the Kaplan RICO decision. Donziger called attention to the many due process problems with Kaplan's trial, including the suspicious and still secret million-dollar Chevron payments to a Special Master appointed by the judge who is a personal friend (see here). Donziger also published a detailed and powerful 33-page rebuttal exposing Chevron's fraud. As Donziger and others voiced criticism of Kaplan, suddenly a bar referral letter to Dopico suggesting Donziger's immediate suspension was sent by several of the judge's colleagues on the federal bench. The letter was clearly misleading and injudicious. It failed to mention critical evidence undermining the credibility of Kaplan's decision, including the exorbitant Chevron witness payments. It ignored the fact four courts and 16 judges in Ecuador had rejected Kaplan's findings and that Canada's Supreme Court had ruled in favor of the Ecuadorians. The court-appointed referee designated to oversee Donziger's bar hearing, John Horan, recently ruled (see here) that due process requires that the advocate be allowed to present evidence to challenge Kaplan's findings and Chevron's fake "fraud" narrative. Horan suggests Kaplan did not provide Donziger a "full and fair" hearing in the prior case. He scheduled a hearing for early December for Donziger to present evidence. Rather than take part in a hearing before their own referee and respond to Donziger's evidence, Dopico and Goldstein rushed back to a New York appellate court to stay the hearing that would finally have allowed Donziger his day in court. They argued that Kaplan had already "decided" the fact issues back in 2014 and that Donziger should not be allowed to present any evidence other than testimony related to his character. A five-judge panel from a New York State appellate court could have ordered the hearing to proceed, but instead (in a one-paragraph order) appeared to robotically rubber-stamp the request to block the fact-based proceeding regarding Donziger's law license. The five judges on the panel were John H. Sweeny, Jr.; Dianne T. Renwick; Rosalyn H. Richter; Sallie Manzanet-Daniels; and Marcy L. Kahn. Obviously embarrassed to be doing Chevron's dirty work, Dopico and Goldstein have worked overtime to prevent public scrutiny of their trampling of Donziger's due process rights. The pair have repeatedly tried to block Donziger from opening any hearing (should one actually happen) to the public and to journalists, even though he has waived his right to confidentiality as a way to shine some light on the process. The language in Horan's ruling suggests why Kaplan and the Chevron lawyers are on edge. Horan concluded that Kaplan "created a criminal indictment" but "in the guise of civil RICO proceedings" and then found facts without a jury by a "preponderance of the evidence" standard rather than a normal "beyond a reasonable doubt" standard. Horan added: "it is open to question... whether [Donziger] did receive a full and fair hearing before Judge Kaplan..."
Even though Chevron and Kaplan have tried their best to knock Donziger off the case, the strategy is not working. The success of the case has won Donziger and his Ecuadorian clients high praise from major environmental and Indigenous leaders the world over. Supporters include Phil Fontaine, the former National Chief of Canada; Rafael Pandam, the President of the Amazon Parliament of Ecuador; and Atossa Soltani, the founder of Amazon Watch. First Amendment Scholar Martin Garbus, Harvard Law Professor Charles Nesson, and Greenpeace co-founder Rex Weyler have all backed Donziger and gone after Chevron. Weyler accused the company of committing "ecological crimes" in Ecuador. Prominent San Francisco-based trial lawyer John Keker (who represented Donziger) called the Kaplan proceeding a "Dickensian farce" designed to inflict harm on Donziger. Kaplan's problematic findings have been largely ignored in Canada, where the Supreme Court unanimously backed the enforcement action against Chevron. Sixteen judges in Ecuador have rejected his conclusions. But in New York, the Kaplan findings are being exalted by the bar authorities to try to deny Donziger a hearing where the truth can be revealed. Further details of that truth are outlined in this stunning letter by Donziger to the U.S. Department of Justice. We might add that the Gibson Dunn firm to whom Chevron has paid hundreds of millions of dollars has a history of engaging in "legal thuggery" and the fabrication of evidence on behalf of its scandal-plagued wealthy clients. (See here.) The High Court of London recently disbarred one lawyer at the firm for trying to frame an enemy of one his clients, the President of the African nation of Djibouti. No offense to the many fine lawyers at Gibson Dunn, but this willingness to cross the ethical line is part of the "service" some in the firm's litigation department sell to wealthy corporations enmeshed in scandal. Also relevant is the long history in the United States of politically-motivated bar discipline targeting lawyers who challenge entrenched interests, as documented in this article. The New York judiciary's disrespect for Donziger appears to fit well within this tradition. The human rights NGO Global Witness likened Donziger's mistreatment to what the group usually sees in repressive regimes like North Korea, Saudi Arabia, and Turkey (see here). "It is shocking to note the similarities ... between this case, and cases we have observed in a myriad of Banana Republics around the world, where official harassment of anyone who threatens the powerful is the norm," the group wrote. Donziger is not a threat to the public order. He is a threat to Chevron's environmental crimes and Judge Kaplan's credibility as an unbiased arbiter of the facts. Attorney Donziger's license must be restored and he should be allowed to challenge Kaplan's findings in a public setting. Anything less will be a huge stain on the reputation of the New York judiciary. Leaders of Indigenous peoples and farmer communities in Ecuador this week called out Chevron for trying to orchestrate yet another sham remediation of its environmental contamination on their ancestral lands. The purpose of the company's latest maneuver is to try to evade its $12 billion environmental judgment, currently being enforced in Canada and the source of major consternation among company shareholders. This picture of a Chevron pit was taken after its "remediation"
The judgment against Chevron -- confirmed by 16 separate appellate judges in Ecuador -- covers what might be the worst oil-related damage on earth. Chevron deliberately dumped billions of gallons of toxic waste into the rainforest when it operated in the country from 1964 to 1992. The dumping decimated Indigenous cultures and caused an outbreak of cancer that has killed thousands. Quito – Leaders of Ecuador’s Amazon communities this week blasted Chevron and their own government for setting up a paltry clean-up fund of only $10 million to cover massive costs to remediate the oil company’s environmental disaster that various courts have determined will run at least $12 billion and maybe much higher. "This new fund is pathetic given the magnitude of the damage and is obviously just the latest attempt by Chevron to duck its clean-up obligations to the Indigenous peoples of Ecuador as imposed by the court system," said Agustin Salazar, the Ecuadorian lawyer for the communities. The government-announced fund – created without any consultation with the communities it is supposed to help -- would not cover even one percent of the actual costs to remediate Chevron’s “Amazon Chernobyl” disaster, as determined by four layers of courts in Ecuador, according to court evidence. Ecuador’s courts found Chevron deliberately dumped billions of gallons of toxic oil waste onto Indigenous ancestral lands when it operated in Ecuador from 1964 to 1992, decimating local cultures and causing an outbreak of cancer that has killed or threatens to kill thousands of people. Most experts consider Chevron’s oil-related disaster to be the worst toxic contamination in the world, with local leaders calling it a “mass industrial poisoning” and one of the worst corporate crimes ever. Chevron has spent at least $2 billion to hire 60 law firms and 2,000 lawyers to fight the Indigenous groups. “While we welcome all help we can get, this so-called clean-up fund seems to be another example of Chevron’s long history of corruption, subterfuge, and greed as well as the weakness of our own government in face of the company’s pressure,” said Rafael Pandam, the President of Ecuador’s Amazon Parliament and member of the Amazon Defense Coalition, the group of communities that won a landmark pollution judgment of $12 billion in 2011. While the Amazon communities pursue Chevron’s assets in Canadian courts, it has been widely reported that the oil company – with the apparent help of the Trump Administration – has been trying to pressure Ecuador President Lenin Moreno to assume the costs of clean-up as a way for Chevron to escape the court-imposed liability. Earlier this week, Ecuador’s Minister of Hydrocarbons, Carlos Perez, announced the $10 million clean-up fund without any prior consultation with the communities and without providing any details. Under the terms of the Ecuador court judgment against Chevron – which issued in 2011 and was affirmed by Ecuador’s Constitutional Court last July -- any clean-up funds collected from Chevron in Canada or other enforcement jurisdictions will be turned over to the communities and their technical advisors to be used for proper remediation and for the construction of medical centers, the provision of clean water, and the restoration of Indigenous lands and culture. Chevron’s disaster encompasses roughly 400 well and production sites spanning 1,500 sq. miles and will take ten to 20 years to properly remediate, according to experts. 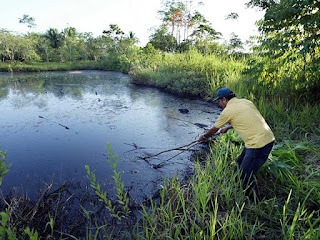 Evidence presented in the Ecuador trial found that when Texaco (Chevron’s predecessor company) left Ecuador in 1992, it abandoned roughly 1,000 unlined toxic waste pits with each costing approximately $5 million to remediate. The pits still contaminate groundwater and rivers relied on by the local population for drinking water, leading to high cancer rates and other health problems. Douglas Beltman, a U.S. scientific expert for the affected communities, testified under oath that each of the abandoned Chevron waste pits would be considered a Superfund site under U.S. law. The Ecuador government fund will only cover the costs of two of 1,000 waste pits, according to Beltman’s analysis. 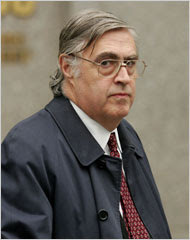 “It is clear Chevron treated Ecuador as a trash bin,” Beltman told the U.S. News show 60 Minutes in an interview in 2009. The FDA also criticized Chevron for attempting a remediation in the mid-1990s that cost $40 million, or far less than 1% of the amount needed to properly repair the damage. That so-called “clean-up” consisted largely of covering a small percentage of the company’s toxic waste pits with dirt and was widely condemned as a sham. It also only covered 16% of the company’s pits. Also in that earlier Chevron attempt at clean-up, the company used an illegal standard 50 times more lax than typical U.S. standards which made it virtually impossible to fail inspection even though hardly any work was done, according to Beltman’s analysis. Chevron then tried to use its so-called sham “remediation” as a legal basis to dismiss the environmental case, but courts rejected that maneuver. The same Ecuadorian Ministry that oversaw the earlier sham clean-up in the mid-1990s is now creating the fund even though Chevron is responsible for the damage and the company faces the far larger court judgment, according to the FDA. Enforcement of the $12b judgment against Chevron will continue in Canada, where the Supreme Court of that country backed the Ecuadorians in a unanimous decision that issued in 2015, said Salazar, a lawyer for the organization. For more background on Chevron’s earlier “remediation” in Ecuador carried out by Texaco, see thissummary memo by Beltman of Stratus Consulting and this article by Karen Hinton. Chevron's reputation as a major polluter and human rights abuser took another hit this week when it "won" the "Corporate Bully of the Year" award from a coalition of prominent civil rights and environmental groups. This is all on Chevron's CEO Michael Wirth and General Counsel R. Hewitt Pate, the architects of the company's scorched earth litigation strategy. Chevron won the award for its vicious litigation attacks against Ecuadorian Indigenous peoples and one of their U.S. lawyers, Steven Donziger. Donziger in 2011 helped his clients win a landmark $12 billion environmental judgment against the company in Ecuador, where Chevron insisted the trial be held. The judgment was affirmed by four courts in Ecuador and 16 appellate judges, including by the nation's Constitutional Court last July in a unanimous opinion. Chevron under the leadership of Wirth and Pate has proven itself to be a company that does naturally respect the rule of law. Since the Ecuador trial court decision issued, Chevron has spent an estimated $2 billion on 60 law firms and 2,000 lawyers to attack the Ecuadorian peoples -- primarily through a civil racketeering case in the U.S. based largely on false testimony from an admittedly corrupt company witness paid $2 million to lie in federal court. One Chevron official admitted that the company's main defense to the Ecuador judgment was to "demonize" Donziger, a Harvard Law grad called a man of "Herculean tenacity" by BusinessWeek. Background on the "Corporate Bully" award -- granted by a new anti-SLAPP coalition called Protect The Protest -- is here and in this press release. For a deeper appreciation of the unethical and even criminal behavior of Chevron and its lawyers at the Gibson Dunn firm -- including evidence they engaged in fraud and witness bribery -- see this referral letter sent to the U.S. Department of Justice. The anti-SLAPP coalition is dedicated to stopping a new corporate playbook pushed by Chevron's law firm Gibson Dunn and other copycat companies to "criminalize" legitimate advocacy that threatens corporate interests. Members of the coalition include Greenpeace, the ACLU, Natural Resources Defense Council, the Electronic Frontier Foundation, Earth Rights International, and Amazon Watch. Greenpeace itself has been targeted with two SLAPP lawsuits in recent years. Chevron's litigation strategy in 2018 followed the same playbook it had been using for years: bully, harass, intimidate... Chevron has only ramped up its bully tactics in what has been described as the "vengeance stage" of its 25-year long legal effort to avoid accountability for oil-spilling in Ecuador. Despite spending an estimated $2 billion to hire 60 law firms and 2,000 law firms to pursue the case, Chevron spent most of 2018 trying to strip away Donziger's license to practice law and bankrupt him through the recovery of attorney fees. More recently, Chevron has issued aggressive and far-reaching subpoenas to pursue third-party critics of the energy giant. This has included Katie Sullivan, a small business owner who volunteered to help fundraise and organize documents for Ecuadorian victims, who testified that she had to personally spend at least $170,000 in legal fees trying to comply with Chevron's subpoena as well as endure Chevron's harassment of her clients. Patricio Salazar, the lead Ecuadorian lawyer for the Ecuadorian communities, said Chevron's bully award is "most deserving" given the destruction the company caused in the South American nation. Salazar said: "There is probably no more bullying and abusive company in the world than Chevron when it comes to using the civil justice system to try to intimidate its perceived enemies." Remember that Chevron still faces a major enforcement action against its assets in Canada, which are large enough to pay the entirety of the Ecuador judgment. Canada's Supreme Court already has backed the right of the Ecuadorians to pursue that case. 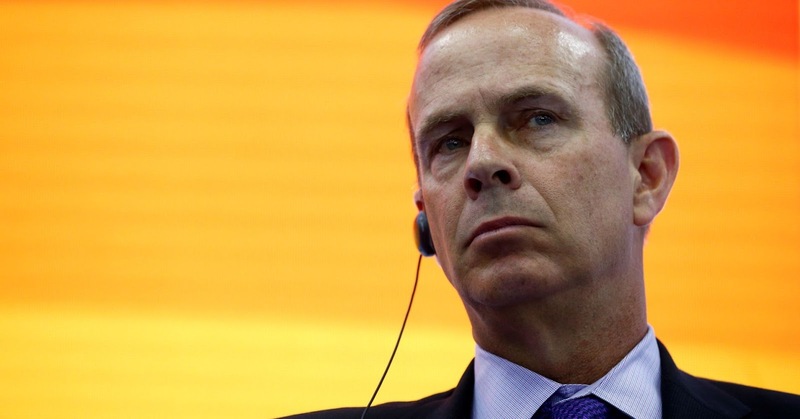 That decision last year prompted 36 Chevron institutional shareholders to urge Wirth to explore a settlement rather than face growing financial and reputational risk. The real lesson for Wirth and Pate is that while bullying might buy time, it is not a sustainable long-term defense strategy to a legitimate legal case. The strategy is also illegal. Chevron's Board of Directors needs to step up and get the company's CEO and General Counsel under control. In the meantime, congratulations to Chevron's top executives. With thousands of Indigenous peoples and farmers dead from cancer in Ecuador from your deliberate toxic dumping, you definitely have earned this miserable award.